The UMPO recently held a family gathering to foster stronger bonds among the members. Among the highlights of the events were BBQ dinner, lots of games & loads of laughter. The event was a success in bringing the members closer together. Check out the fun times, we'll be updating with more images soon! Congratulations to the new committee members of the UMPO! We wish you the best in carrying out your responsibilities & making UMPO bigger & brighter than ever! Many thanks to the outgoing committee members for your dedication & sacrifice, your work will always be remembered & appreciated! UMPO rocked the UMP Ampitheatre yesterday night, sending out songs like Paramore's Ignorance, Bon Jovi's You Give Love A Bad Name, Faizal Tahir's Sampai Syurga & Maroon 5's This Love. The crowd went wild when UMPO belted out Sweet Child O' Mine, Zombie, Freaking Perfect & According To You. Special thanks to the performers, & our heartfelt gratitude to the 500+ audience who signed their support for UMPO! Browse our gallery for photos from this fun-filled night! SNL at UMP is on 24th March! 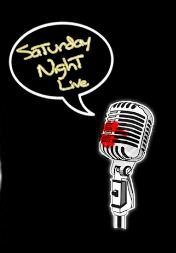 That's right, UMPO's Saturday Night Live is on 24th March 2011, we've got bands lined up to give something fun for y'all on the weekends! Registration is closed but do come give your support at the Ampitheater 9pm! Following the Arabic theme of the recent PETAKOM Dinner 2011, UMPO performed new songs such as Aladin & Wassini. Stay tuned for uploads! UMP Orchestra will be performing 2 brand new pieces for UMP Chinese New Year Dinner tonight. These 2 traditional pieces are cheerful & upbeat, as the Rabbit New Year hops in. Stay tuned for uploads! With a Minijam around the corner, UMPO wants to dress the part! Committee members will be selling the special edition T-Shirt, you may request to have your unique name included in the design. Please contact the committee members for more info or to place an order, thank you! UMPO garnered the 5th place in the 'Apakah Dosaku' Lagu Puisi competition held recently at UMP. The group performed Kalau Berpacaran & Si Baju Hijau. Media is being updated, so stay tuned! Congratulations & well done! FestKUM 2010 Acoustic Band Competition Results! UMPO finished 10th in the recent FestKUM 2010 Acoustic Band Competition held at UniMAP. A better showing than last yr, we're proud to have done our best & promise to do better the next round! Thanks for your support! 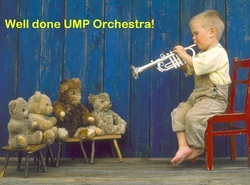 UMP Orchestra would like to wish everyone happy 2011 & may the new year bring prosperity & joy! 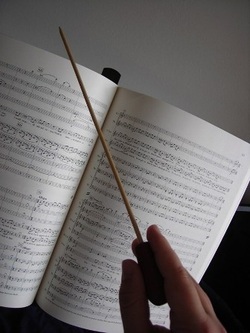 We look forward to grilling the books & playing the music for this upcoming annum! Cheers!